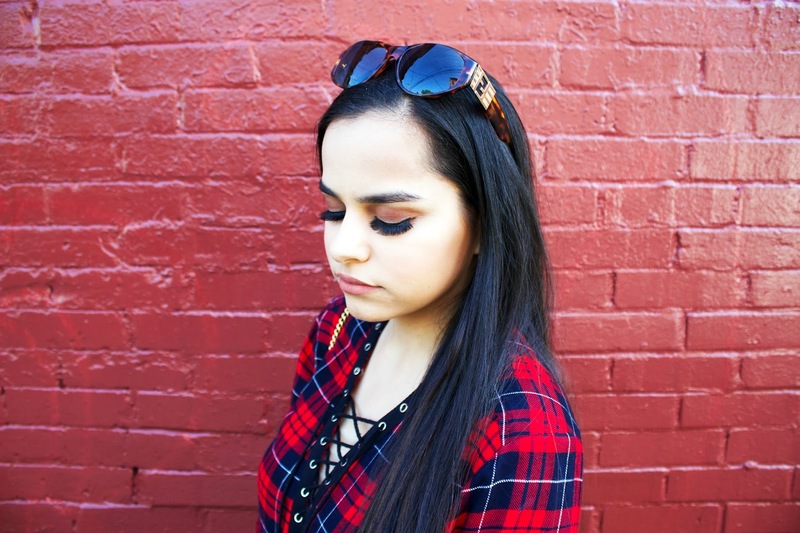 Miss Singh: HOW TO TRANSITION YOUR SUMMER STYLE INTO FALL! 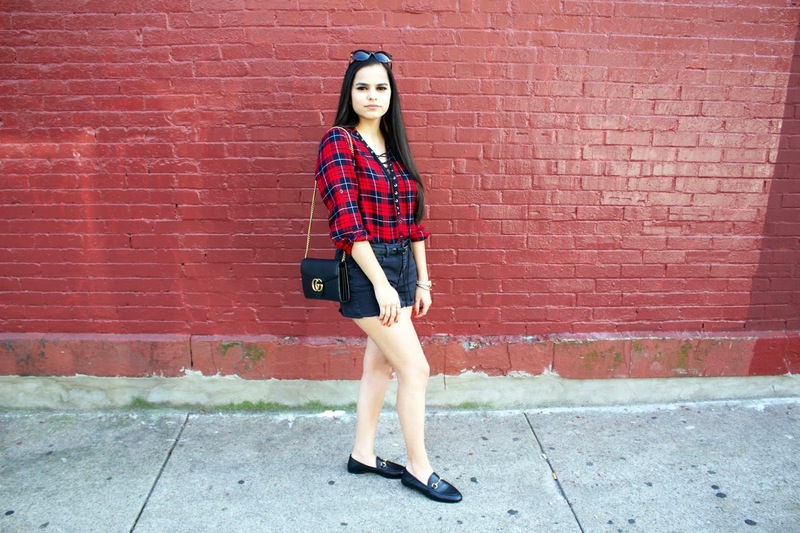 HOW TO TRANSITION YOUR SUMMER STYLE INTO FALL! Fall is here...I can't believe it is already September! The middle period between fall and summer can be a bit confusing on your style options. Today I want to show you how I transition my summer style into fall and how you can too! Fall is one of my favorite seasons to experiment with different styles but sometimes when the weather isn't cold nor is it too hot, it can be a little confusing. The trick is quite easy when it comes to this transitional time and that is to mix them together! I like to mix my summer basics and transition them into my basic fall pieces. This look is the perfect example of that. 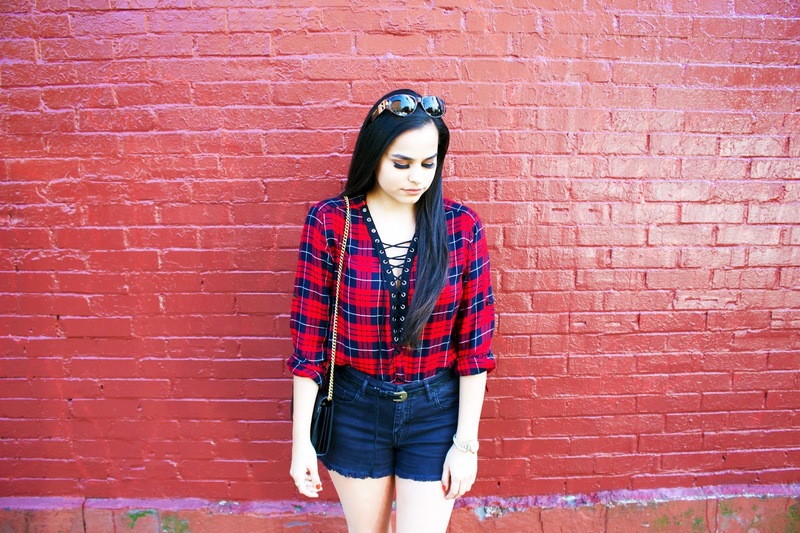 Plaid screams fall to me especially red plaid which is why I paired this super stylish top from SheIn with my favorite faded black shorts from Forever 21 that I loved wearing in the summer. I love the lace up details on the top and it makes a great statement without being too over the top. 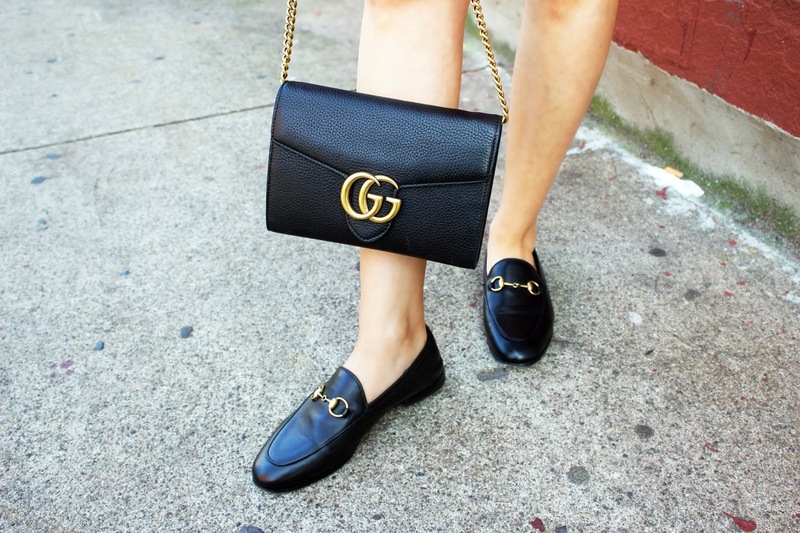 For accessories, you cannot go wrong with some classic Gucci loafers. Am I right? I am also wearing my favorite Gucci bag and vintage Fendi sunglasses. I added this western style thin belt from Urban Outfitters to add some more detail after I tucked in the shirt. This look is perfect for a lunch date or just meeting up your friends for a quick drink after work! Effortless, stylish and of course comfortable!